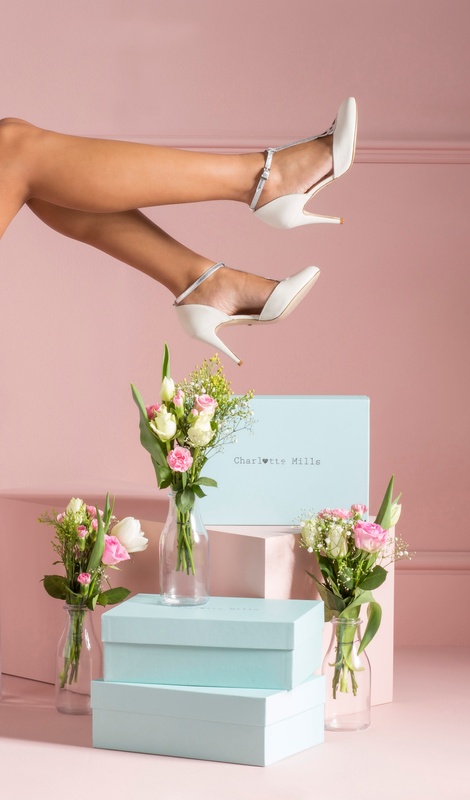 We’re turning the temperature up a notch on this super sunny Tuesday afternoon by showcasing the gorgeous new bridal shoe designs that have just landed in the 2018 Collection from our insanely talented Sponsor Charlotte Mills. 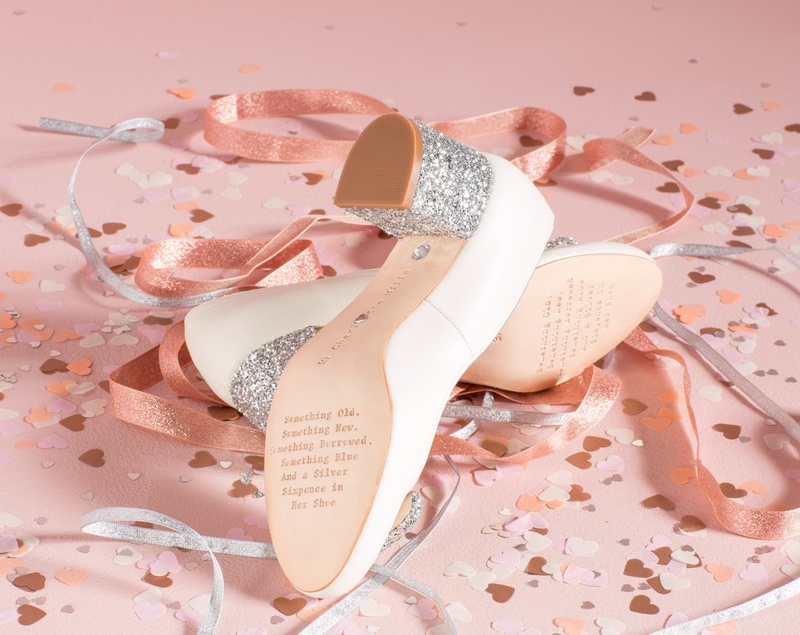 We love to see brides reflect their personal style on their big day and the footwear is an easy element of the attire through which ladies can let their personality run free. 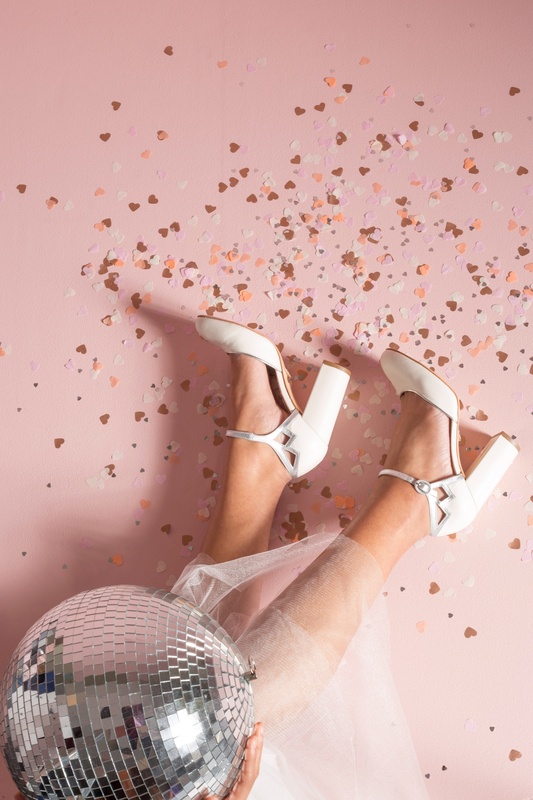 We’ve seen brides don ankle boots, sneakers and even wellies, but the majority choose to stick with a heel for that extra confidence, height and poker posture. 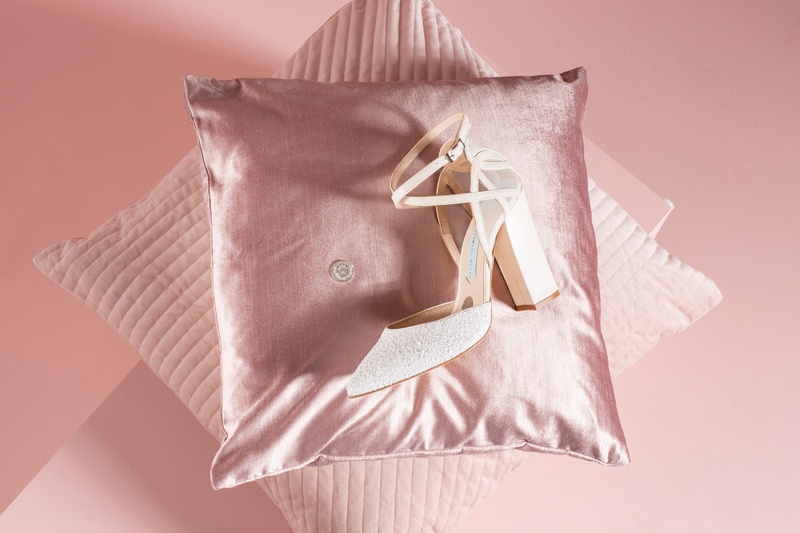 With a style, heel height and hue to suit all brides, from the traditional to the fierce, we’re sure there will be perfect pair of Charlotte Mills shoes to complete your big day look. 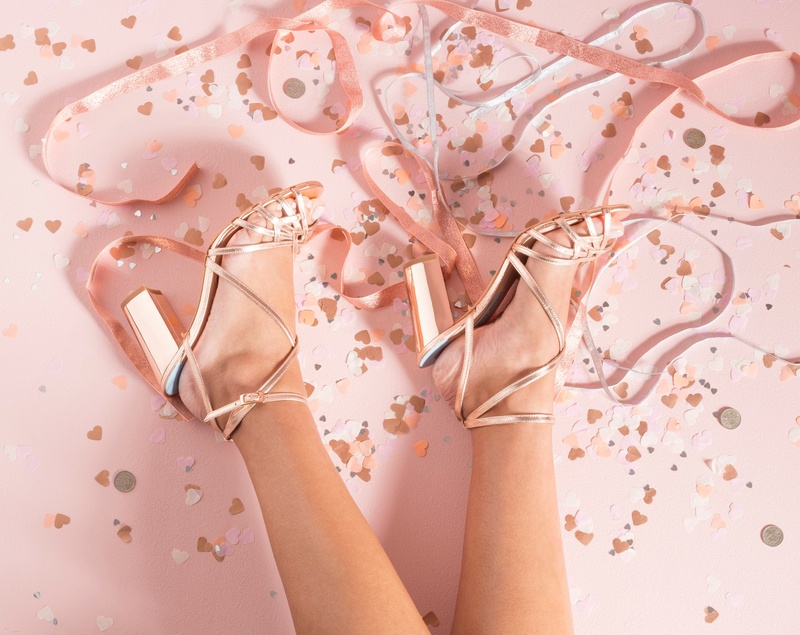 So, let’s waste no time in handing over the blog to the creator herself to tell us more about these absolute showstoppers. What was your inspiration behind the 2018 collection? Does it have an overall theme? 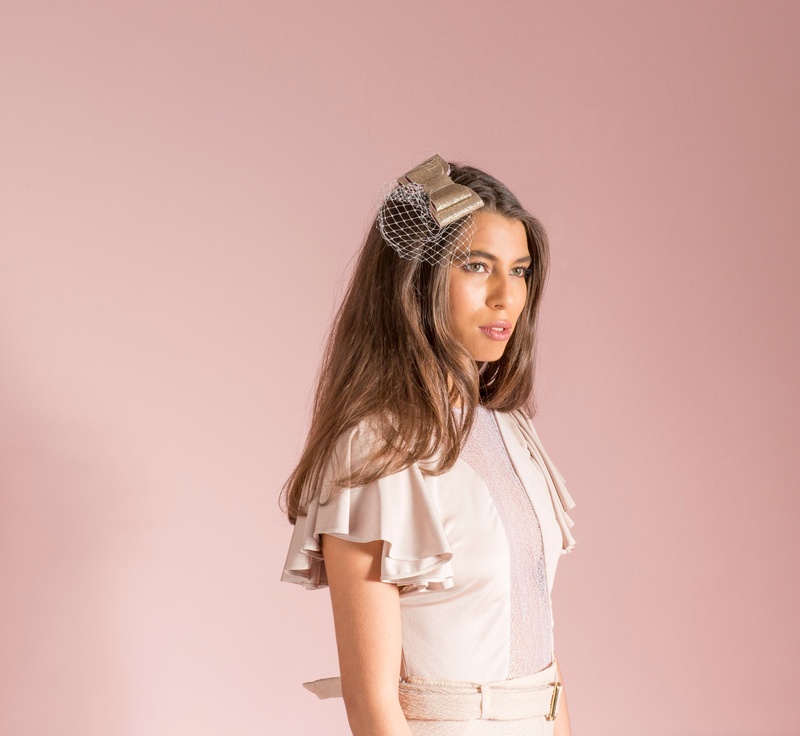 charlotte says: I wanted to create a collection that suited a range of different style types. 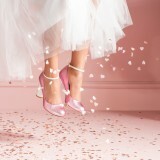 Whether you’re a modern, traditional, retro, super glam or vintage bride. 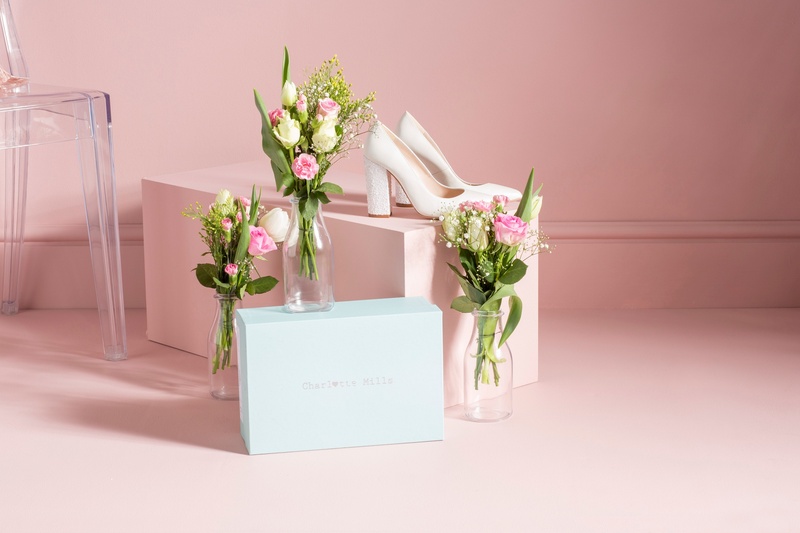 I wanted to ensure we offered styles to suit everyone as well as incorporating the Charlotte Mills aesthetic. What new shoe styles can brides find within the 2018 collection and which stand out for you? 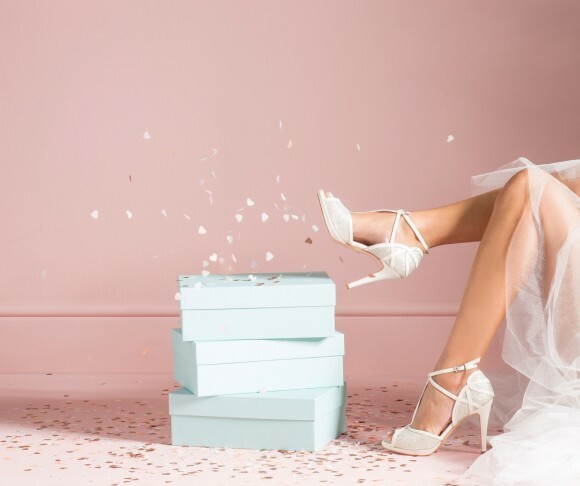 Our new styles for 2018 are Meghan, Farah, Esmeralda Blue, Jane, George Pearl, George Silver, Frankie, Francesca and Blossom Pearl. 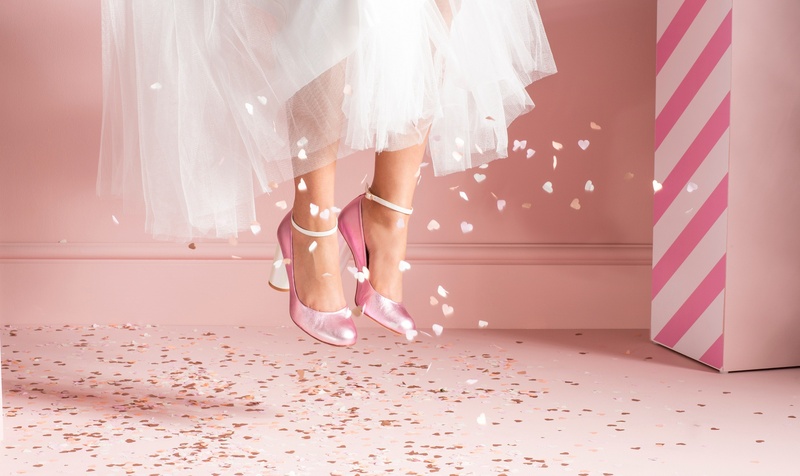 One of the most exciting new styles is the Meghan shoe, which was designed in preparation for the royal wedding. 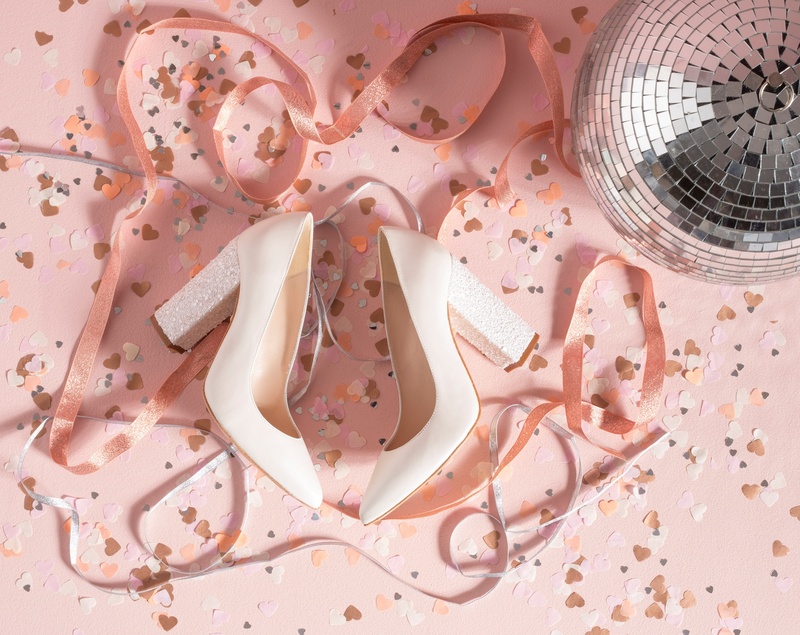 We love every wedding here at Charlotte Mills, but we particularly couldn’t wait to see Meghan Markle’s bridal style. 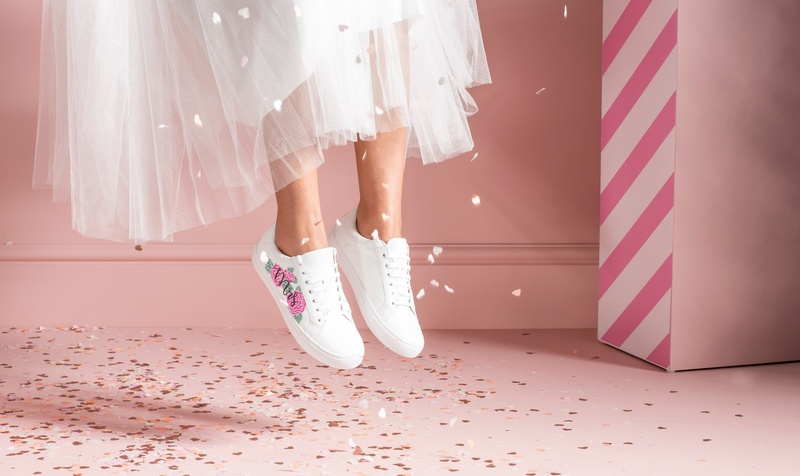 Hence the production of the limited-edition Meghan shoe. 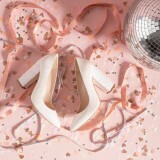 This design features a pointed toe, pearlescent leather and pearl glitter details with a block heel. 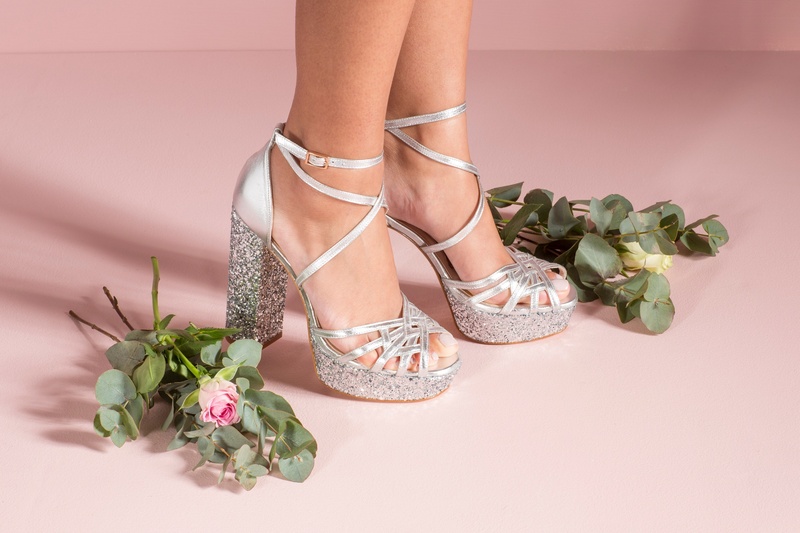 Not too dissimilar from Meghan’s shoes on the day! 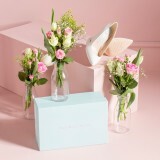 Each pair includes a specially dated sixpence in collaboration with the Royal Mint UK for an extra special touch. What are your main considerations when designing a new collection? 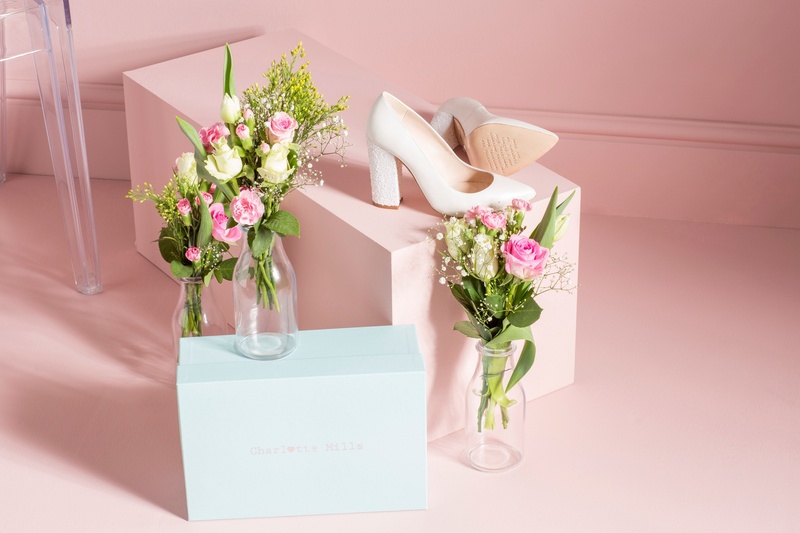 Producing fashion forward styles which are elegant and reflect the Charlotte Mills brand image. 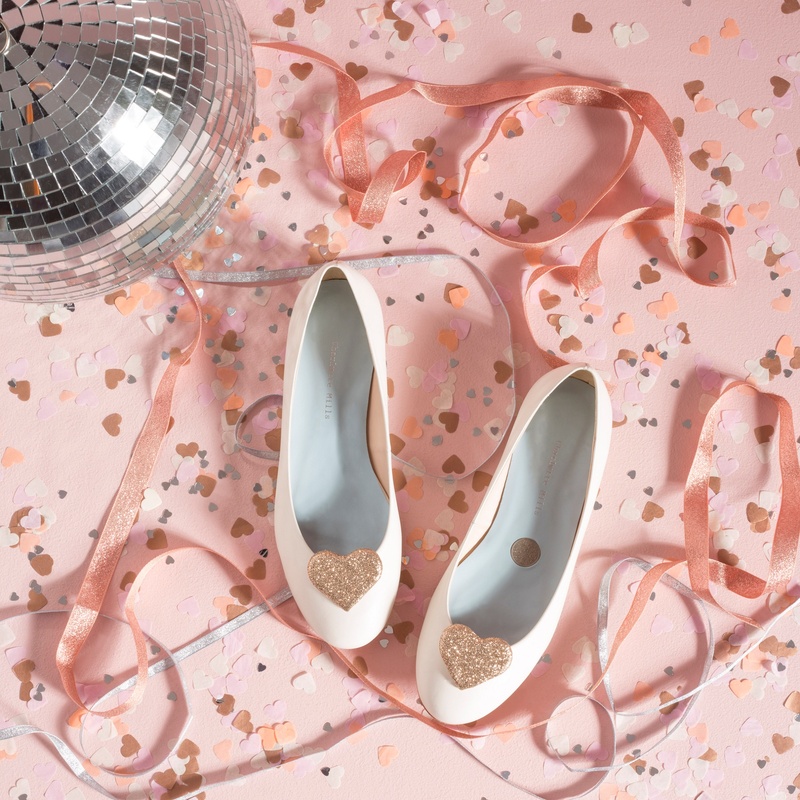 All shoes are designed with comfort in mind! 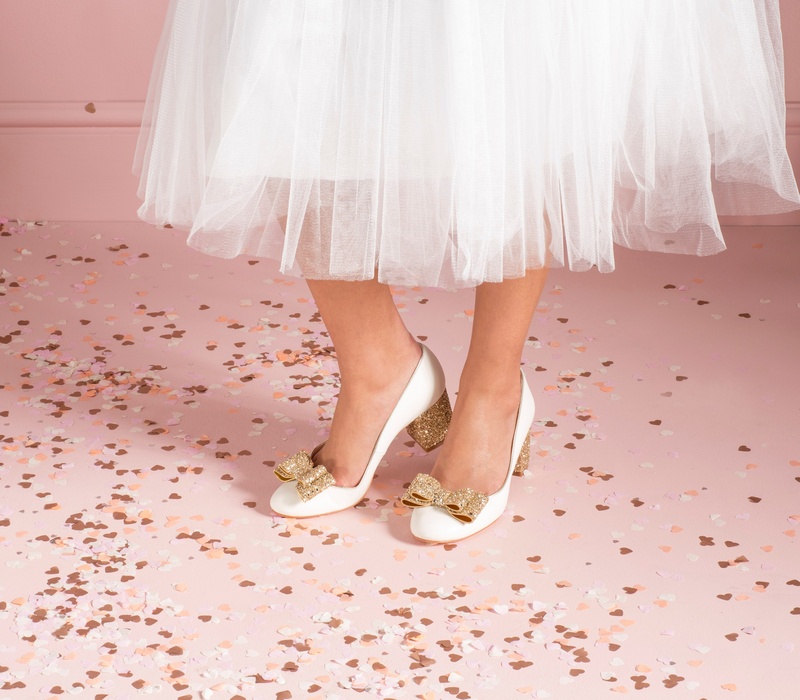 Fun and girly details are key! How would you sum up the 2018 collection in three words? 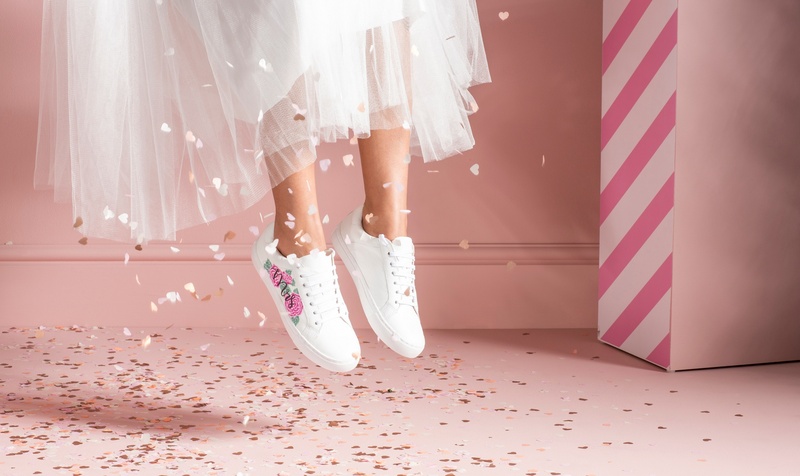 What main colours and details are featured in the latest collection? Ivory, blue, pearlescent leather, pearl glitter details and silver art deco piping. 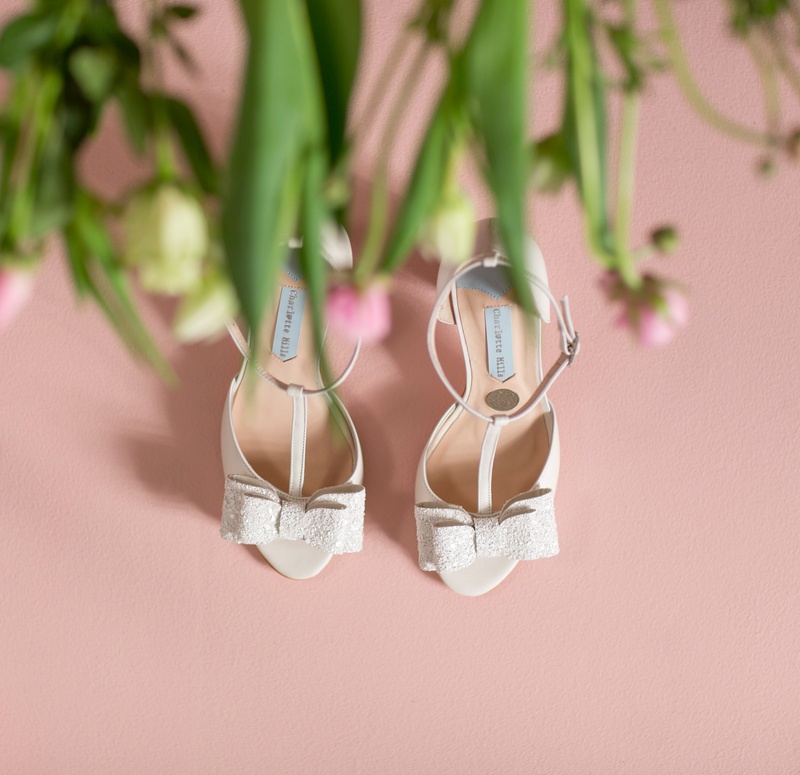 Which shoes style from the collection would you suggest for the daring, fashion forward bride and which for the elegant, traditional bride? For a daring bride it would have to be Francesca, while Anastasia would be perfectly suited to more traditional weddings. 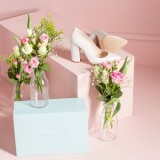 What are your top three tips for picking the right wedding shoes? 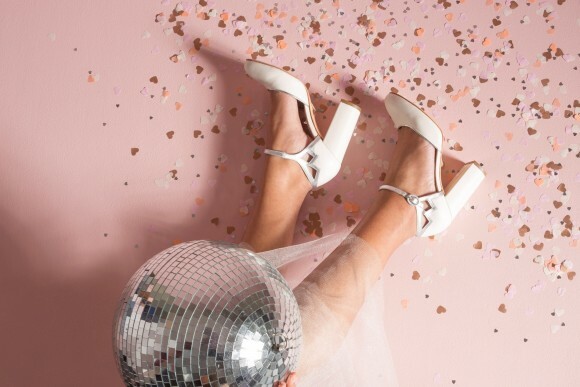 What bridal fashion trends are you enjoying right now, and can you predict any big trends to come? It’s all been about the royal wedding, and I expect a lot of brides will want to mirror Meghan’s look for their own big days to come. 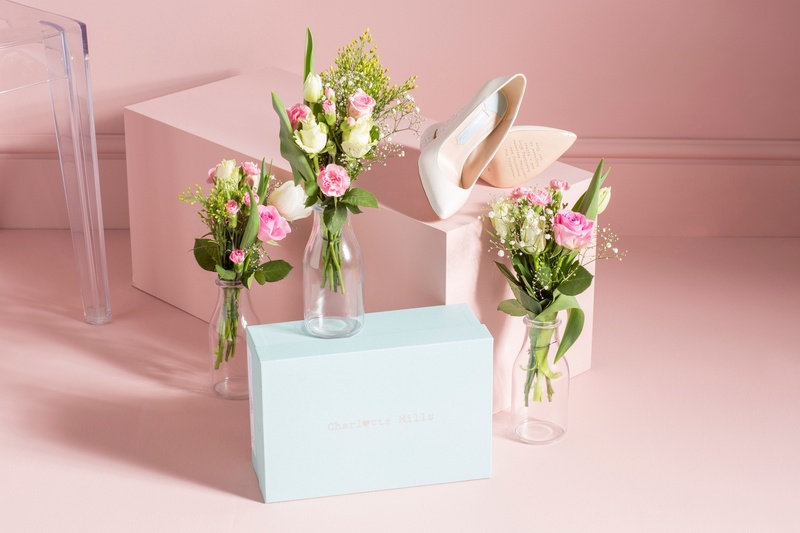 Where are Charlotte Mills shoes available to buy? At our boutique in Saddleworth, Oldham and via our online boutique. We also have several stockists around the world, the details of which can be found here. And what is the size range and price point? Sizes range from UK 2 to UK 9. Prices range from £120 to £260. Charlotte Mills is going on a road trip! We will be doing pop ups around the UK during the summer and later this year. Details to be confirmed! 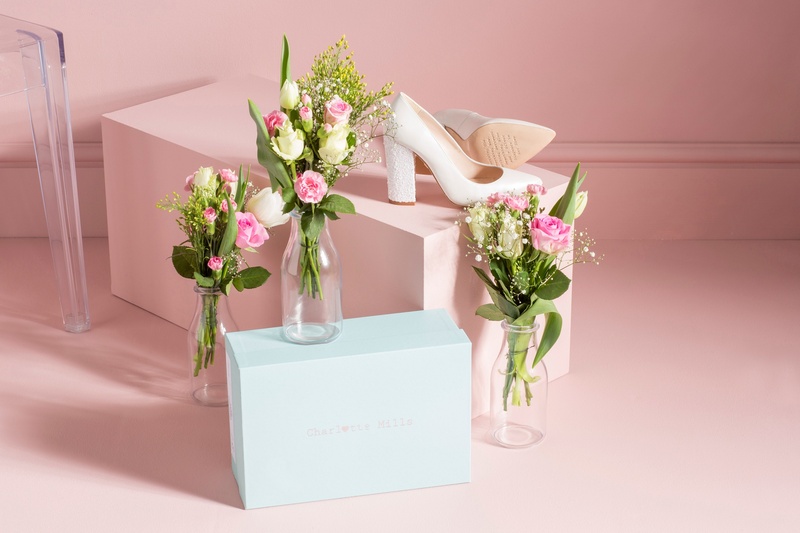 So now that we’ve heard from the creator herself, here’s a little more detail on the latest designs to join the Charlotte Mills 2018 Collection – all you have to do is decide which pretty pair (or two!) 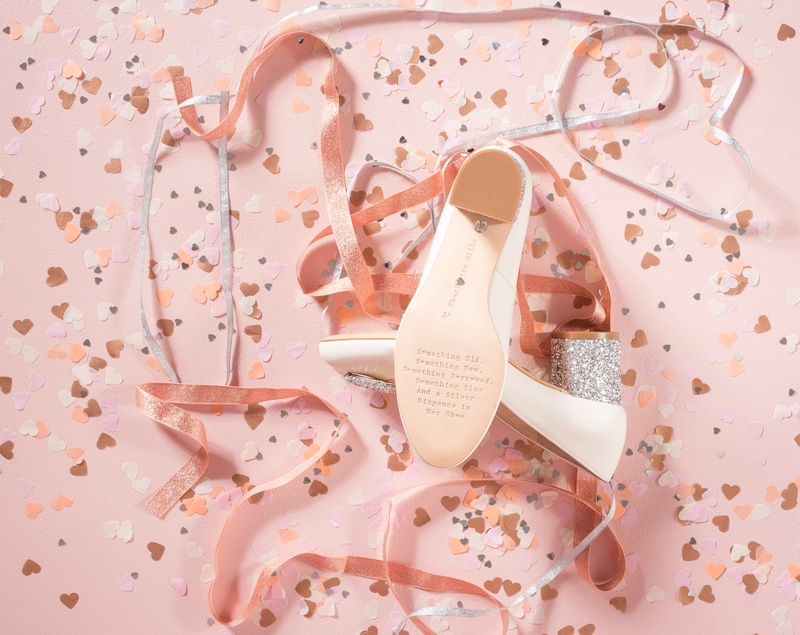 will best complete your big day get-up! 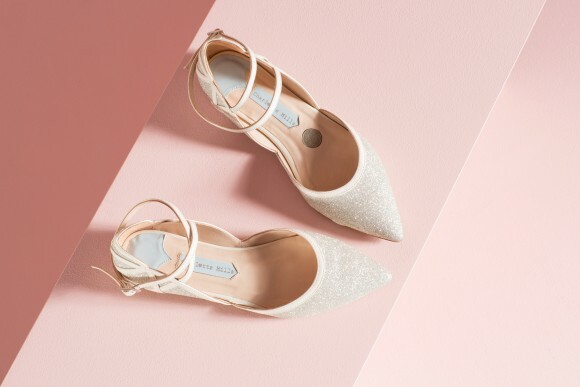 Meghan – A limited-edition, sleek and stylish point toe d’orsay court shoe in pearl ivory leather and matching glitter with a delicate ankle strap creating a heart design on the back of the shoe. 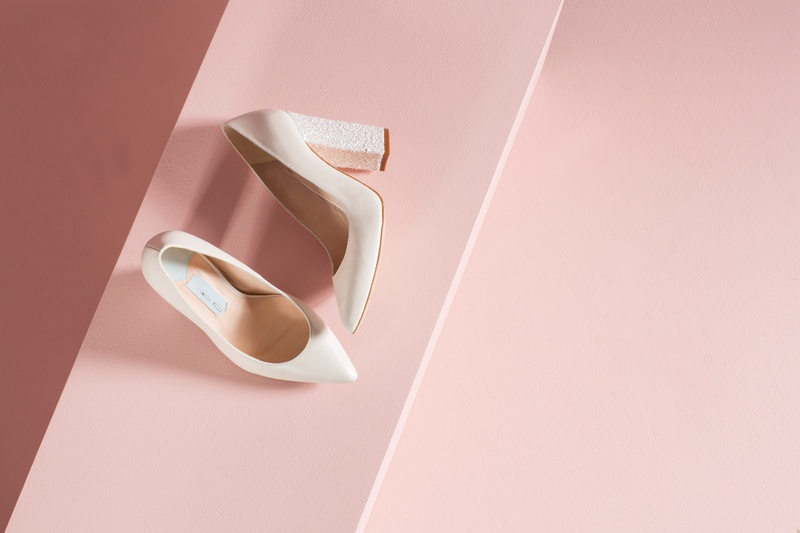 Farah – A block heel d’orsay designed with hearts in mind. 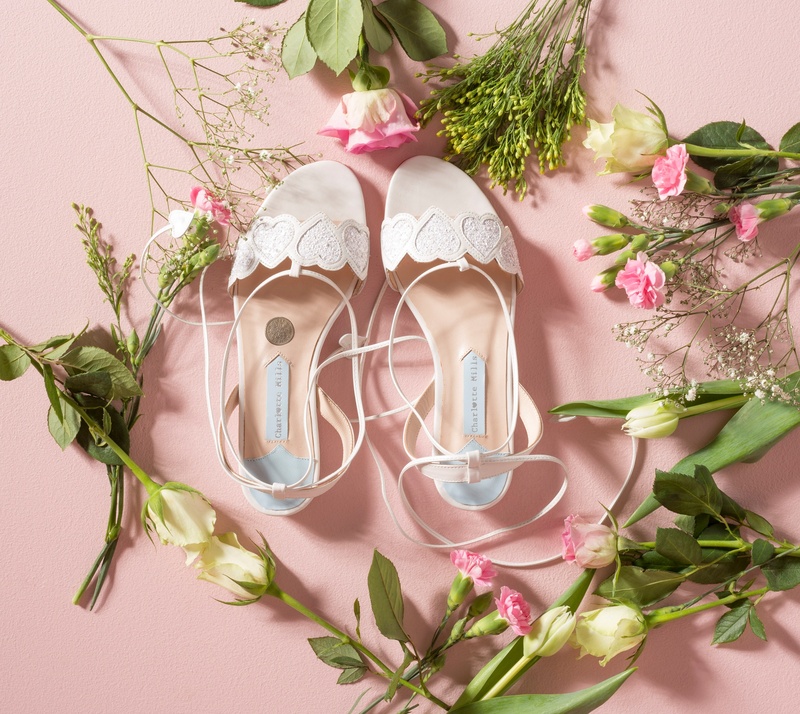 This style in ivory leather and mesh peep with a subtle heart design at the back and cross over ankle straps makes the perfect wedding shoe. 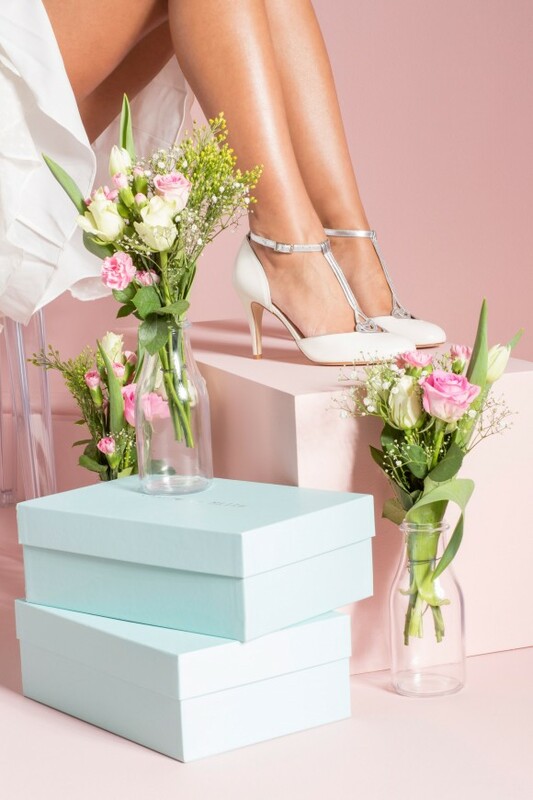 Esmeralda Blue – The perfect low block heeled blue wedding sandal. 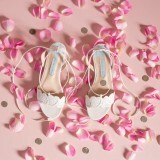 This style consists of pale blue soft leather with metallic blue heart detailing on the front strap. 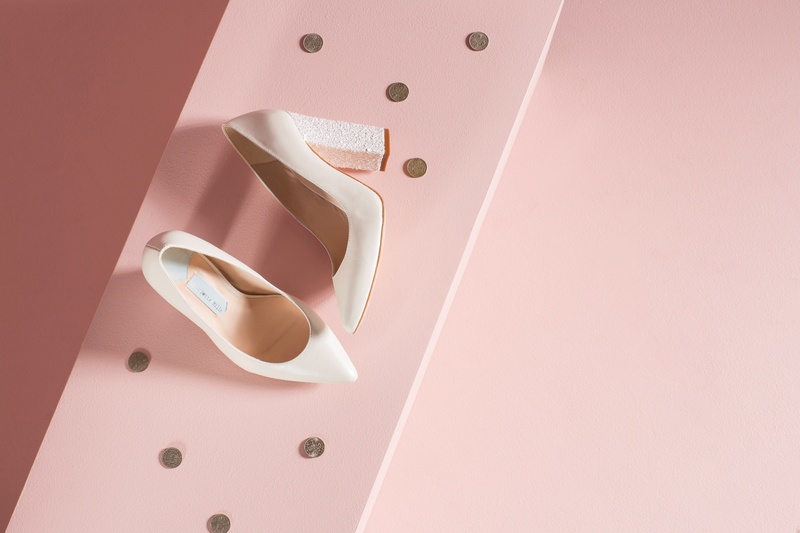 Jane – A Mary Jane block heel d’orsay in ivory with silver geometric detailing. 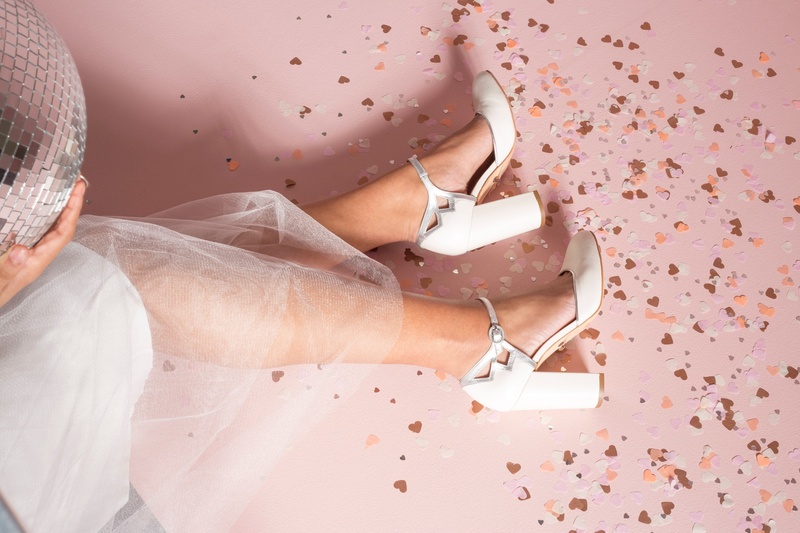 George Pearl & George Silver – A cross vamp sandal with delicate piping and block heel. 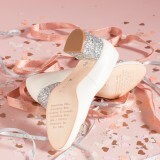 Ideal for dancing the night away perfect to wear again and again after your wedding day. 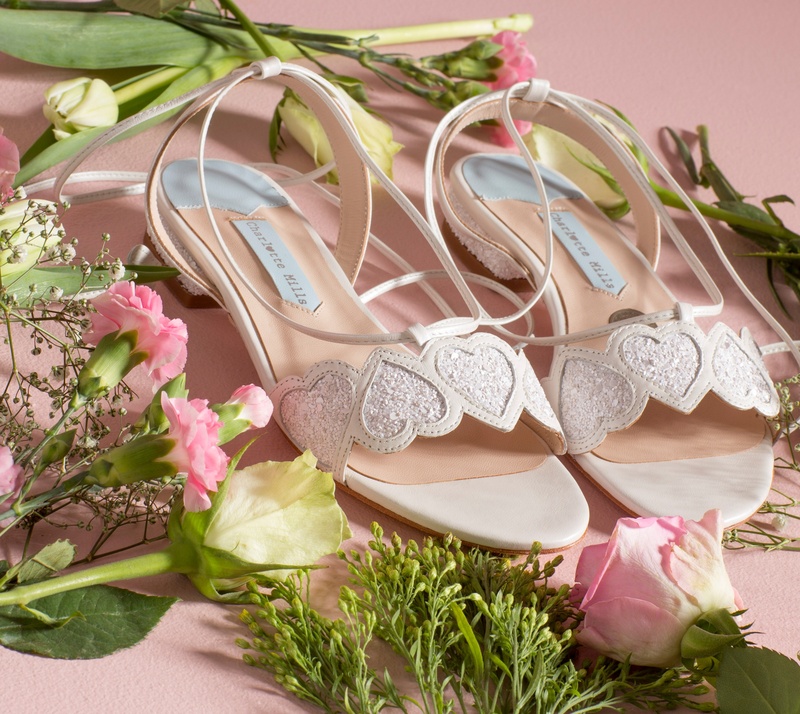 Frankie – A flat style with beautiful cross over ankle straps and pretty heart detailing on the back. Frankie is made in a shade of glitter that is in between gold and silver so complements both accents perfectly. 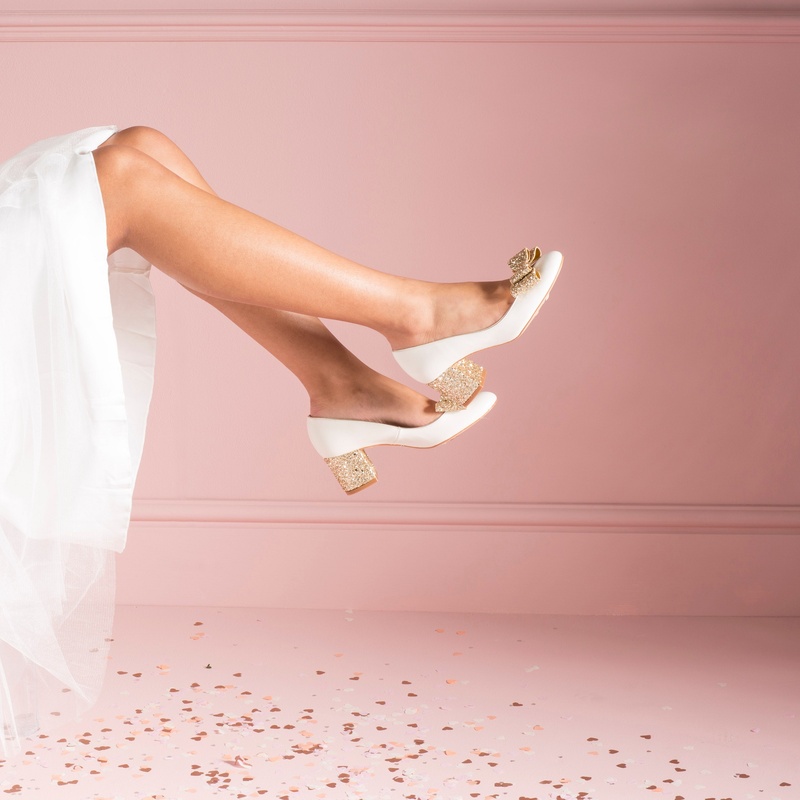 Francesca – A stylish point toe court shoe in pearl ivory with matching pearl glitter block heel. 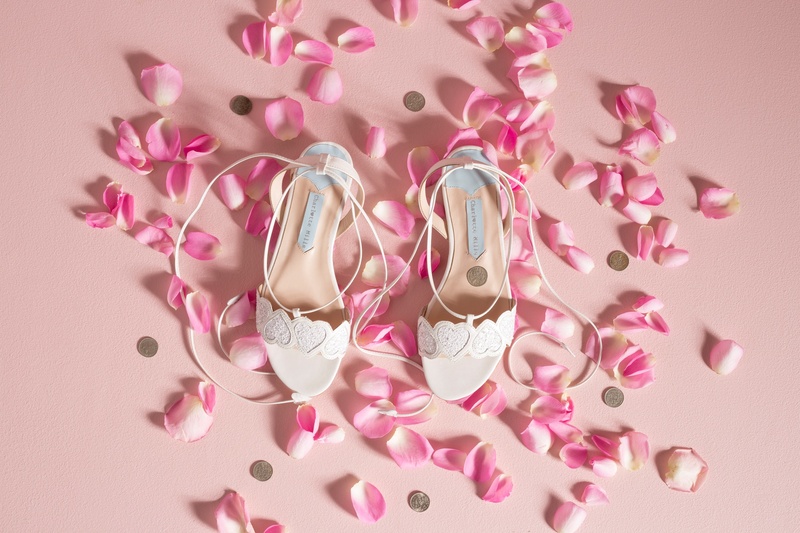 Blossom Pearl – A delicate flat sandal with heart details and wrap around ankle tie. 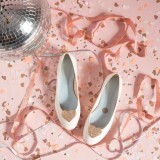 Pearl leather upper with pearl glitter heart inlays.